Distributors of quality packaging and industrial consumables since 1988. 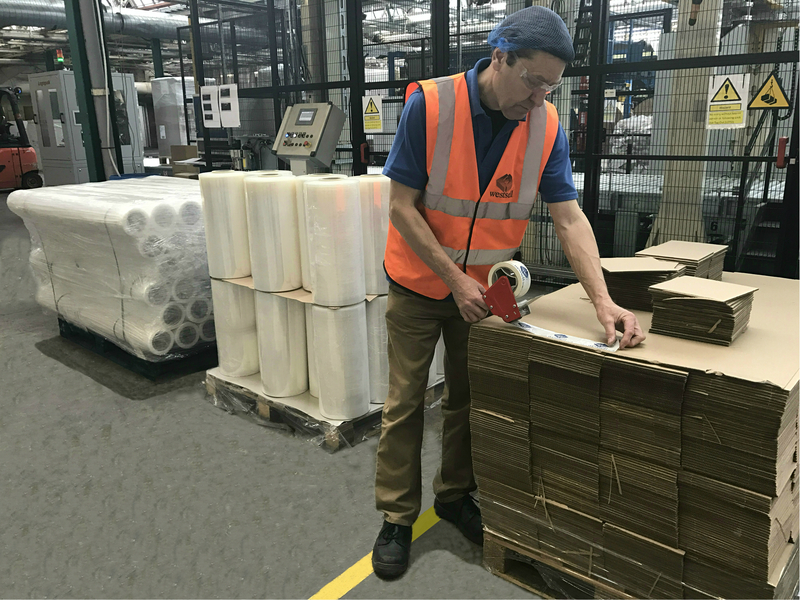 Being adhesive tape and packaging material specialists we hold service and quality at the heart of all we do. We specialise in providing non-food contact packaging materials and adhesive tapes for industry. New products and ranges are regularly added and we can advise and help with most end of production line packaging. As with any product, cheap alternatives are always nearby. It has always been our policy to provide our customers with the correct product for their application at the very best price, but without compromise. Trial products are always available for customers to test thereby ensuring smooth and trouble-free packaging. Technical support from our manufacturing partners is always at hand if the need arises. Our customers enjoy our full support. Service is at the heart of everything we do. We support all of our products with our own technical expertise calling on more than 30 years in the packaging industry. Deliveries are made either on our own transport or with trusted transport partners to ensure we are prompt. We at Westsell understand that as with all consumables, price is one of the most important factors, especially in today’s economic climate. We strive to provide the highest quality products that are tried and tested to perform consistently and at a great price. We have used Westsell as a major supplier for many years and have built up a great relationship with everyone involved at their head office in Emborough. Dale, Kevin and the team are always willing to help with anything we need and will get us these goods at the best prices possible. Dale is continually looking at ways to help mitigate price rises in a volatile market place by keeping up to date knowledge of how and where our products come from. Overall the service provided from Dale and the Team are second to none. It’s a pleasure dealing with them. Let us help you find the perfect products at a great price!